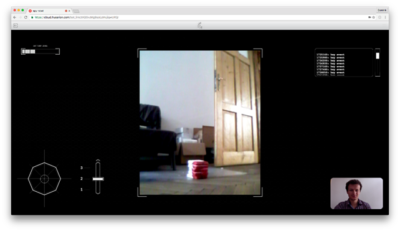 Building Internet-connected robots in an easy way? CORE2 is the answer. February 2015. 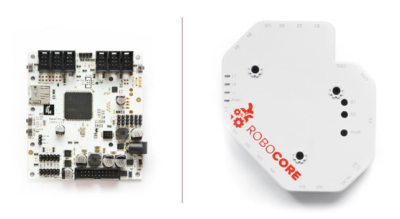 Kickstarter campaign of „RoboCORE: the heart of your personal robot” has just started. RoboCORE promises that building consumer robots based on this platform will be much simpler and cheaper than using existing alternatives. 30 days later, with almost $60 000 and 311 backers, campaign is successfully ended. Further R&D, manufacturing, beta tests and RoboCOREs finally goes into the hands of robotic enthusiasts around the world. Since then, thanks to the feedback from hundreds of people, Husarion ecostystem for IoT in robotics has highly evolved and improved. Now this is a stable technology, used by universities, makers and developers. It was time to improve the device and make RoboCORE 2.0. So there it is, named Husarion CORE2: controller for automation & robotics. Building Internet-connected products, especially if they aim is not only to store the data, but also to control physical things in real-time, is challenging. Husarion’s mission is to lower entry barrier for new ventures in the area of automation & robotics, as much as possible. They shouldn’t focus on technical issues, but on their customers’ problems – says Dominik Nowak, CEO of Husarion. Many Kickstarter funded companies decide to launch the next generation of their products also on this platform. Husarion has a different attitude: they don’t promise the miracles, but they give technology that simply works. If you order now, on the next day your CORE2 will be shipped to you, and all ‘how-to-start’ materials, hardware & software documentations are already available at docs.husarion.com. What is special in Husarion’s product? It is not a single product, but a coprehensive solution for companies and developers who build various mechatronic Internet of Things products. Mechatronic means combinations of mechanics and electronics. 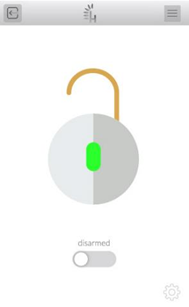 This is a wider concept than robotics, beacuse apart from robotic lawnmower or telepresence robots, it also includes Internet-connected door lock, electric roller blinds etc. 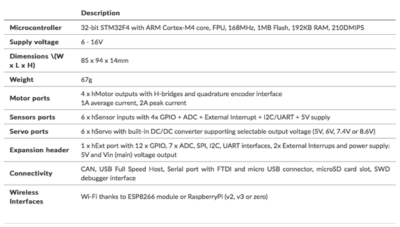 programming framework to write a code that runs on hardware and communicate with a cloud. The users have access to many examples, professional Real-Time OS based C++ 11 framework and versatile hardware, therefore building working prototype is a piece of cake. Product is adressed not only to makers, but also for companies. They could use CORE2 to rapidly prototype a preliminary design, and Husarion would help them to elaborate the prototype to mass production ready version. This way they would create the version of CORE2 suited for their product. 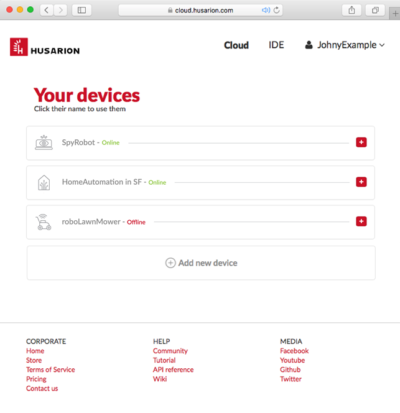 Husarion enables sharing of user’s devices. It can be done in two ways: by sharing with other cloud user or through the link. Especially the second option is convenient because you can easily give somebody the access to your robot without logging into Husarion cloud. Husarion provides solution for makers, robot manufacturers, universities, and non-engineeres who want to play with controllable robots. 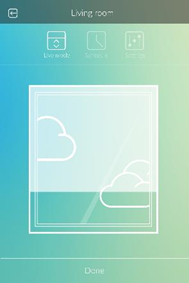 Husarion’s platform is the first one of this kind on the market. The unique feature of CORE2 hardware is a direct support for DC motors with quadrature encoders. 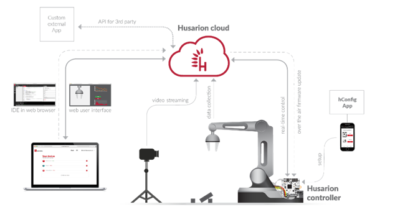 Up to 4 motors can be connected at once, and Husarion framework is optimized to control them in real-time without wasting processing power of CPU. 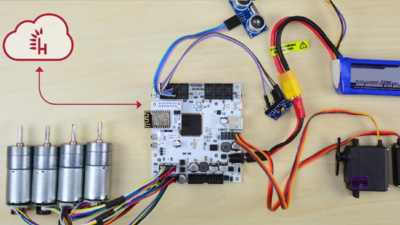 It could be done thanks to hardware encoder interface peripherals integrated into timers of STM32F4 microcontroller – the brain of Husarion CORE2. Motors are controlled by PID regulators implemented in background RTOS tasks, separate for each motor. In many professional applications the popular RC servos aren’t enough. Thanks to CORE2, you can easily convert any DC motor with encoder into servo-mechanism that works in accordance with your requirements. If built-in H-bridges don’t suffice, external power driver can be easily integrated. CORE2 has also the interfaces that allow connecting almost every market-available sensor, or external electronic module. These interfaces are: UART, I2C, SPI, CAN, ADC, microSD card slot, USB host, GPIOs, ADCs, external interrupt inputs, and servo ports powered by built-in DC/DC converter with selectable voltage level. 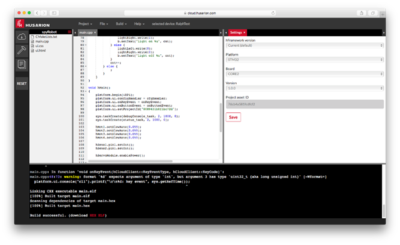 b) online – using a Web IDE integrated to cloud.husarion.com. Especially the second option is very comfortable, because it allows you to start writing code immediately, without struggles with configuring IDE, installing drivers etc. Husarion team is doing their best to create comprehensible hardware and software documentation with a lot of examples and ready-to-use templates. 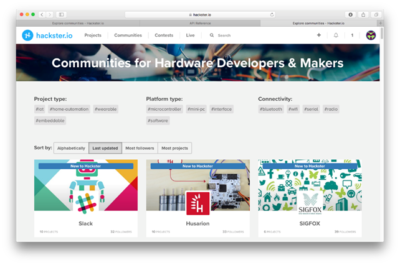 They also opened public profile at hackster.io, where Husarion team and community share tutorials on how to use CORE2 in various IoT mechatronic projects. Dieser Eintrag wurde veröffentlicht in General, Hardware und verschlagwortet mit controller, Core2, Hardware, Husarion, Robot von Sebastian Trella. Permanenter Link zum Eintrag.